Your pulse quickens...your mind focuses...the mission is clear, the maneuvers rehearsed, and there are no second chances. You are about to engage in supersonic jet combat at 45,000 feet...or maybe you're about to enter a fierce sales battle with your toughest corporate competitor. These two scenarios are more closely related than they might appear. Business today moves faster than ever. The competition is ruthless, the pressure intense, the stakes dizzyingly high. What can you do to survive? James Murphy, one of America's top fighter pilots, has the answers. 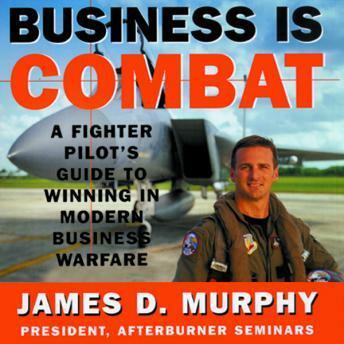 By combining the cool calculation of a four-star general and the hot-blooded nerve of a combat pilot, Murphy's "modern business warrior" is uniquely qualified to prioritize, maintain focus, assess risk, and develop the kind of teamwork necessary for long-term success.